Unless you’ve gone digital, all watches need hands. It’s pretty fundamental, right? 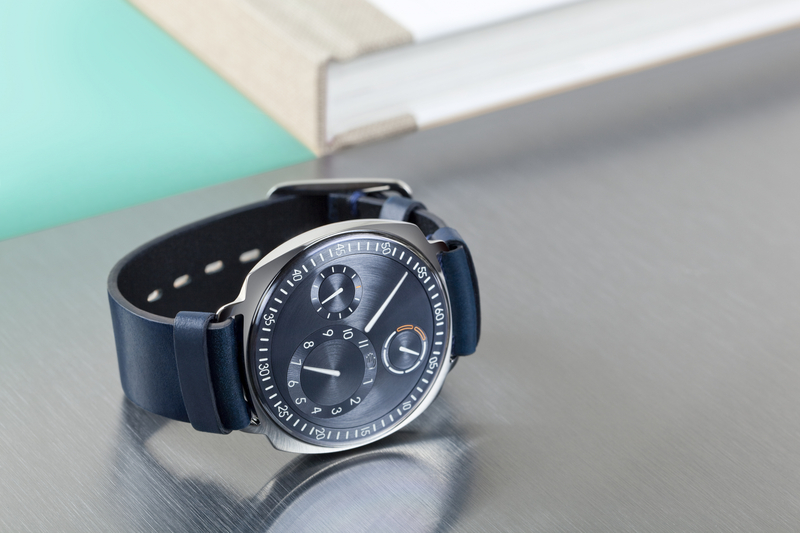 Well, the Ressence Type 1 Squared blows that theory out the water (along with the Belgian watchmaker’s range of other disked designs). Ressence’s intriguing dial uses a set of planetary discs and rings to indicate the time of day: the dashed inner ring provides the seconds, with the larger inner disc displaying the hour and the main outer ring counting through the minutes. There’s even a counter for the days of the week. The automatic complication is known as ROCS – Ressence Orbital Convex System – and is pretty much unique in the modern horological world. 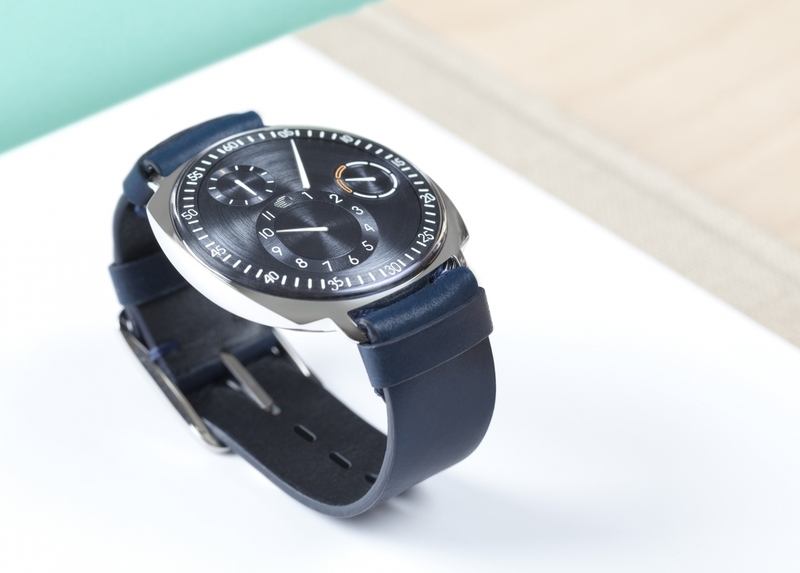 While most of Ressence’s orbital offerings sit inside circular cases, the Type 1 Squared – as the name suggests – changes things up slightly with its pillow-shaped 41mm casing. By squaring off corners, Ressence intends the Type 1 Squared to be worn as an eye-catchingly unusual dress watch. 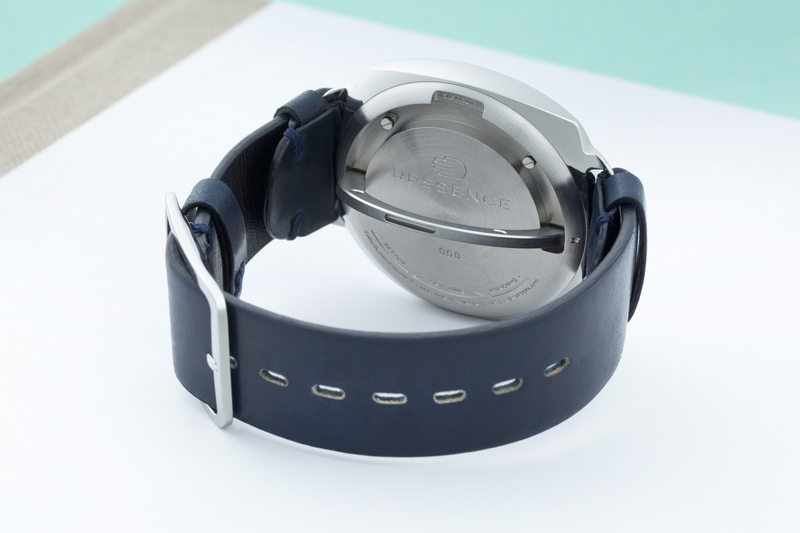 To that end, the casing – made from polished steel rather than Ressence’s usual titanium – is thinner than a standard Type 1 thanks to a new winding design, measuring in at just 11.5mm. Where the standard watch featured a rotating sapphire case back, the Ressence Type 1 Squared uses a new retractable lever to kick-start the automatic movement (which features 27 gears, 40 jewels and boasts a 36-hour power reserve). The design tweak means that there is no visible crown on the watch either, adding to its smooth, space-age aesthetic. The dial is available in Silver, Ruthenium, Night Blue or Champagne hues, housed behind domed sapphire crystal. Whichever colour you opt for though, you’re bound to be caught whiling away the hours staring at the beguilingly eccentric display, as will anyone who happens to catch a glimpse of your wrist.